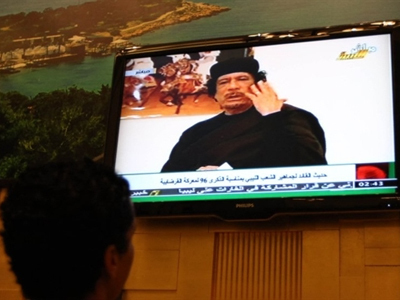 Libyan leader Muammar Gaddafi has survived an attempt on his life, but the attack did kill his youngest son and other family members, the Libyan government spokesman Moussa Ibrahim announced. 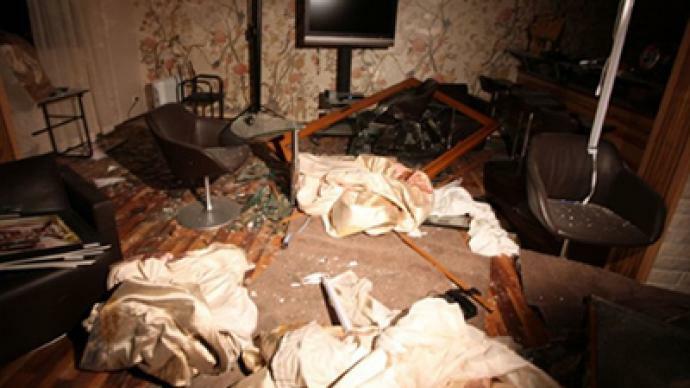 A NATO airstrike hit the Tripoli house of Gaddafi’s son Saif Al-Arab, killing Saif Al-Arab and three of Gaddafi’s grandchildren, the spokesman said. Arabic TV channel Al Arabiya later in the day cited a source close to Gaddafi’s family saying that Saif Al-Arab Gaddafi was indeed killed in the NATO strike, but the Libyan leader’s three grandchildren escaped unharmed. According to the Associated Press, some other family members were injured in the airstrike. 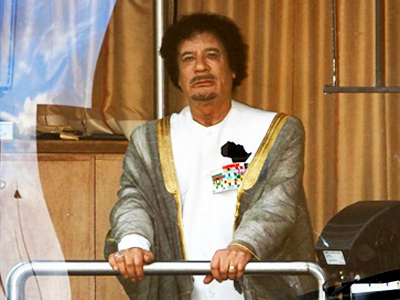 Gaddafi, who was staying in the house with his wife, survived the offensive. "What we have now is the law of the jungle," Reuters quoted Moussa Ibrahim as saying. "We think now it is clear to everyone that what is happening in Libya has nothing to do with the protection of civilians," he added. According to Ibrahim, the attack was a direct attempt to assassinate Gaddafi. NATO has yet to confirm or deny the attack. 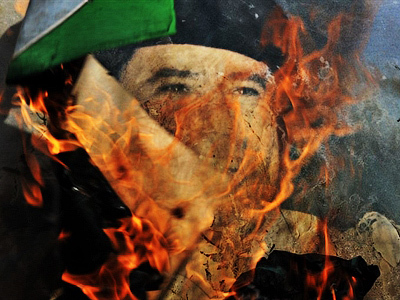 Gaddafi announced earlier that the Libyan government is ready for a ceasefire and peace talks with NATO. Both NATO and the rebels have so far rejected the offer. ­NATO has denied targeting Gaddafi, or his family, but confirmed it did launch air strikes on military targets in Tripoli on Saturday. "NATO continued its precision strikes against regime military installations in Tripoli overnight, including striking a known command and control building in the Bab al-Aziziyah neighborhood shortly after 1800 GMT Saturday evening," the alliance said in a statement as cited by Reuters. 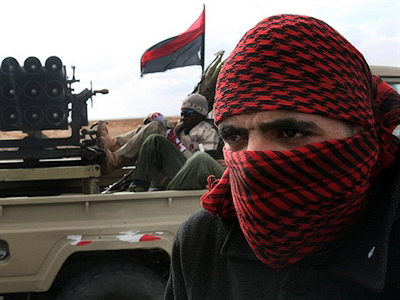 "All NATO's targets are military in nature…We do not target individuals," said NATO's commander of Libya operations, Canadian Lieutenant-General Charles Bouchard. "I am aware of unconfirmed media reports that some of Gaddafi's family members may have been killed. We regret all loss of life." Meanwhile, UK Prime Minister David Cameron declined to comment on what he also called the "unconfirmed report" about members of Gaddafi's family being killed in the NATO strike, but confirmed the coalition’s targeting strategy. "The targeting policy of NATO and the alliance is absolutely clear. 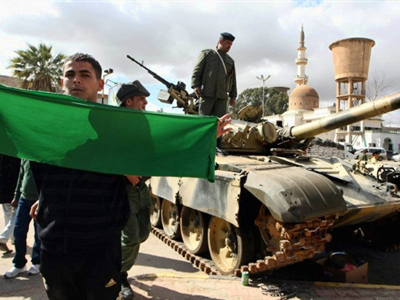 It is in line with UN Resolution 1973 and it is about preventing a loss of civilian life by targeting Gaddafi's war-making machine, so that is obviously tanks and guns, rocket launchers, but also command and control as well," Cameron told the BBC. Russia’s Foreign Ministry expressed serious doubt over the coalition members’ statements that the strikes on Libya are not aimed at destroying Gaddafi or his family. The ministry also accuses the coalition of exceeding UN Resolution 1973, Interfax reported on Sunday. “The statements of the coalition members, declaring that the purpose of strikes on Libya is not the physical elimination of Muammar Gaddafi and members of his family raise grave doubts. As we have forewarned, disproportionate use of force, especially exceeding the mandate of UN Security Council Resolution 1973, which does not presuppose the change of leadership in the Libyan Jamahiriya, has been leading to harmful consequences and deaths of innocent people,” said the ministry in its Sunday statement. Konstantin Kosachev, Head of the Foreign Affairs Committee of the Russian State Duma, has called on the Western coalition to undertake a prompt evaluation of its actions. "More and more facts indicate that the purpose of the anti-Libyan coalition is to physically destroy Gaddafi," said Kosachev as cited by Interfax.